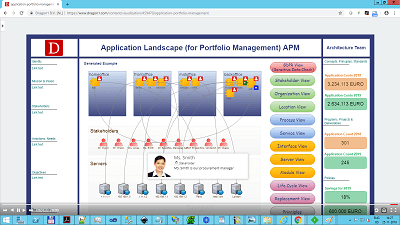 Dragon1 is a Business Platform with an integrated set of specialized tools for Enterprise Architecture (EA), IT Portfolio Management (ITPM), Business Process Analyses (BPA) and Governance Risk & Compliance (GRC). And these kind of tools are adding value to every organization, more than ever before. 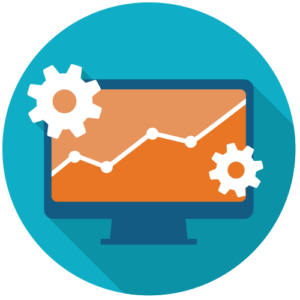 The tools on Dragon1 are the specific usage of the Dragon1 web applications. 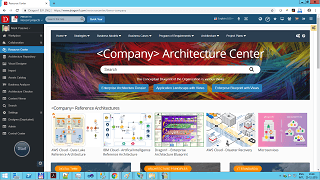 With its two major web applications, the Architecture Repository and the Visual Designer. 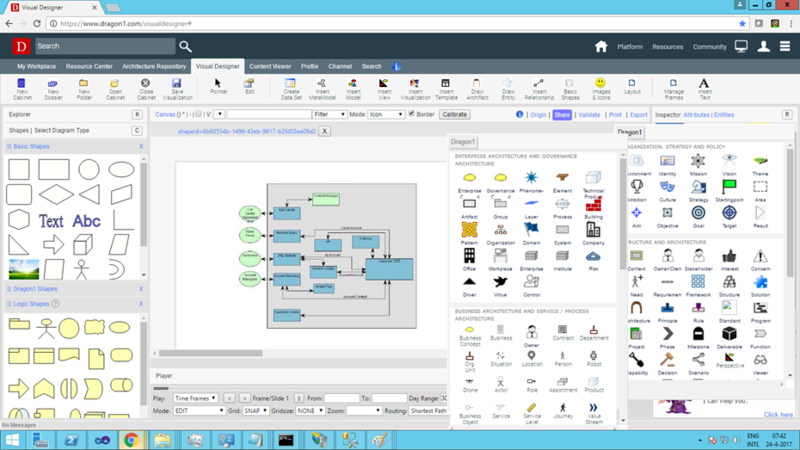 Dragon1 is perfect to use in the fields of business process analyses (BPMN modeling) and enterprise architecture (ArchiMate, TOGAF and UML modeling). 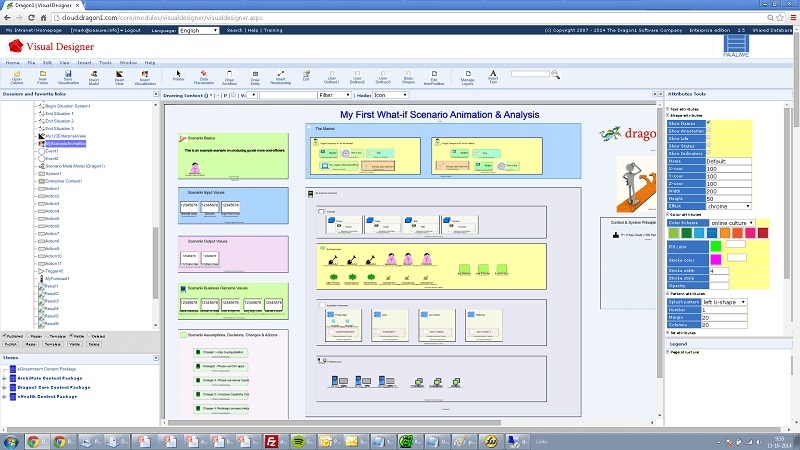 Dragon1 is being used by many users as BPM Tool and EA Tool. 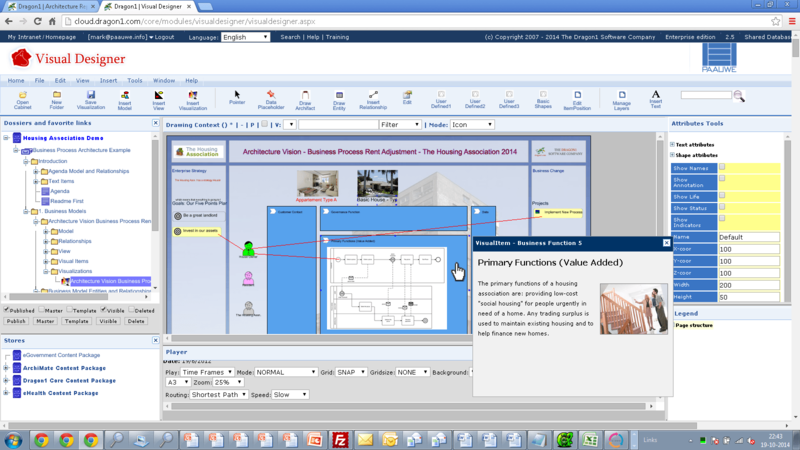 You can manage your repository, you can design static and dynamic documents, reports, models and views, you can publish your documents, models and views to fixed and mobile devices and you can process feedback on your documents, reports, models and views. Dragon1 is also internationally recognized and certified by parties like Forrester, Gartner and The Open Group for these applications. 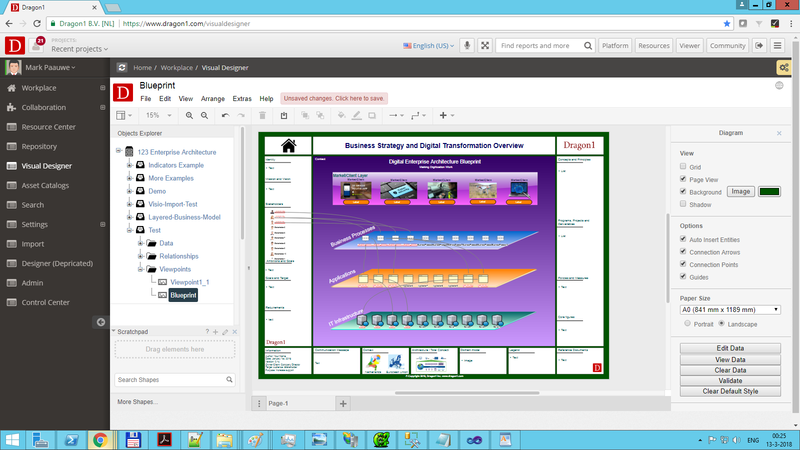 Dragon1 offers great web applications making it the best cloud-based EA Tool as defined by Forrester, Gartner and Ovum. 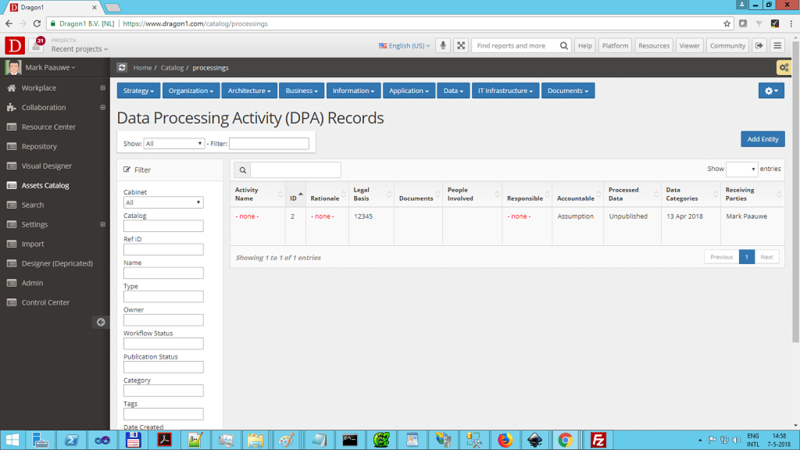 Dragon1 provides an online Help system to make it a professional BPM Tool. Are You able to Demonstrate Compliance with GDPR? 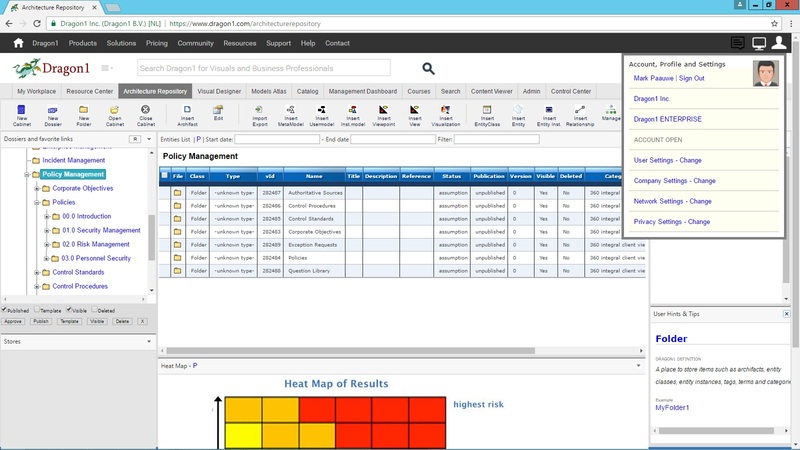 Use Dragon1 for creating GDPR Assessments and Compliance Reporting. Dragon1 is fit for purpose for TOGAF as worldwide top 10 EA Tool. 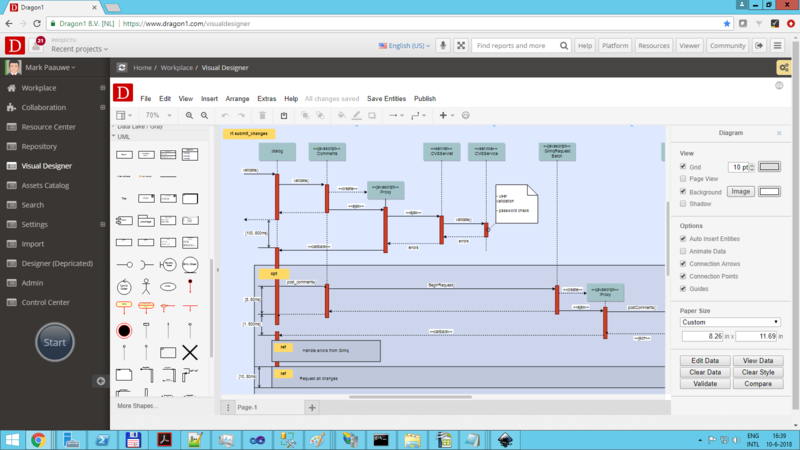 Create any interactive ArchiMate Diagram you want. Generate viewpoints and views! Risk assessment and auditing, Gap analysis and Compliance level analysis. 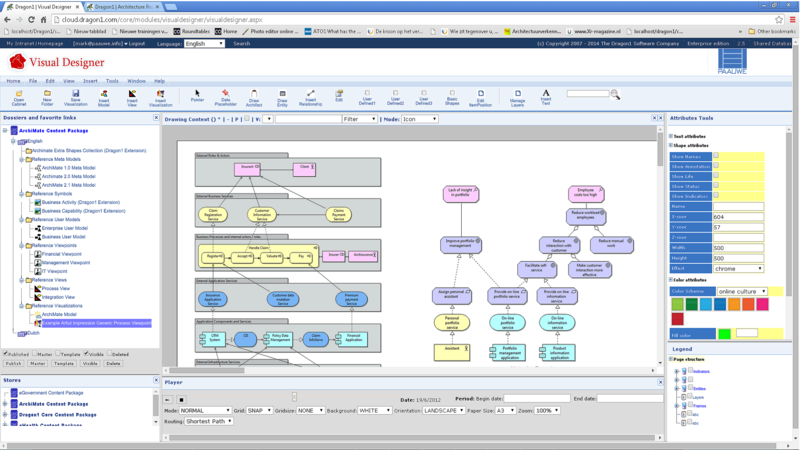 UML diagramming is the smartest way to analyze and design processes and software applications with. 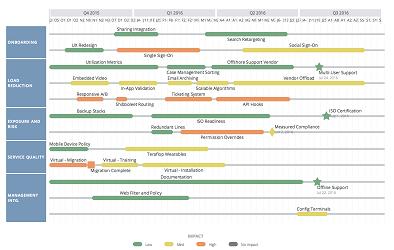 Communicate changes and directions in technology, strategy together with the main phases, stages and activities. When you decide to make professional use of Dragon1, you can buy a user license editions. See the Pricing Plans of Dragon1 here. The following editions are available: Dragon1 PRO, Dragon1 ENTERPRISE and Dragon1 CONNECT.